How Big Does an Email List Have to be? 1. How to Get Email Subscribers – Guest Blog Like Crazy! How to Get Email Subscribers – in this post we’ll explore the secret to building a huge email list in less than 3 months. It’s no secret that email is still one of the best forms of digital marketing for driving traffic to a website and ultimately making sales. Let’s dive in and find out How to Get Email Subscribers so you can start growth hacking your business and generate more sales today. Social media is dominating the game. People are making millions from blogging. Blockchain is changing the world. So why do email lists still matter? Even though email is well over 40 years old, email marketing is just as important as ever. When you build a substantial email list, all your existing and potential customers are gathered together in one place, which means all you need to do is keep them happy in order to make loads of sales. Email lists are great because, once you’ve got a list of happy customers who consented to give you their email address, you can then send out newsletters and promotions at will and make more sales without putting in the time and effort needed to find new customers all the time. Moreover, selling to existing customers is a lot easier than selling to new ones. One snag: Growing an email list can be tricky — and it can take a lot of time, especially when your site visitors are ice cold, to begin with, in other words, cold traffic, people that have never visited your website before or heard of your brand before. 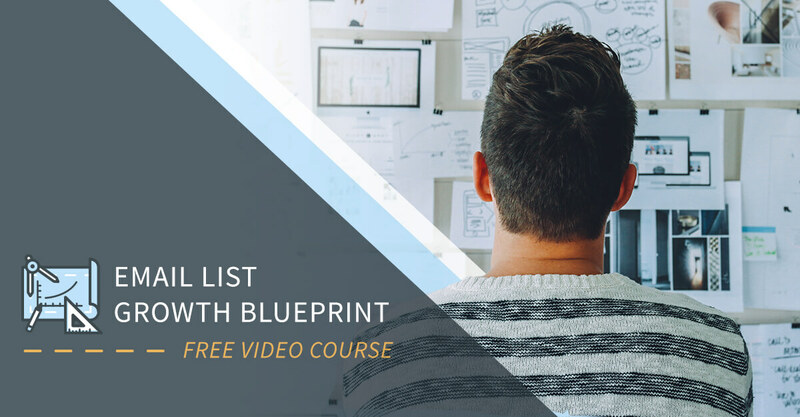 If you’re looking to grow a huge email list super fast, I’m going to share with you the very tactics I’ve used to grow my businesses’ email lists in this article. The thing is — how big does an email list actually have to be? Well, let’s take a look at conversion rates versus your goals. 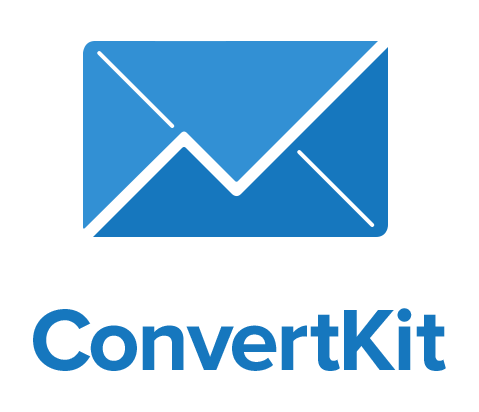 The average email marketing conversion rate across all industries is just 1% from a newsletter type email. This means that you need a list of 100 subscribers to convert just one customer and make a sale. Which also means that to get 10 sales from an email campaign, you need a list of 1,000 subscribers. How big your email list needs to be, then, depends on what your sales goals are. But the bottom line is that if you want your email list to work for you and turn into a money-making machine, it needs to be huge. No one is going to hand over their email address because you asked nicely. An email address is someones private means of correspondence, and handing it over to a total stranger is a big deal. Create a compelling lead magnet — in other words, a free gift — and exchange it for someone’s email address. No one in their right mind is going to hand their email address over to you if you’re unapproachable. Shouting “REGISTER!” at them won’t work. Instead, you have to be personable. Remember, the friendlier you are, the more someone will trust you enough to hand over their email address. It’s hard to quantify, but many marketers agree that your lead magnet (free gift) must provide 95% of all answers to a customer’s problems. 95% sounds like a lot, but here’s the thing — it’s all about perception. The customer has to believe that they’re getting the best deal here. Sure, you’re getting their email address but they’re getting ALL this value. So what happens to the other 5%? Well, you sell it to them at a later date for a premium price. And that’s where you make your money. 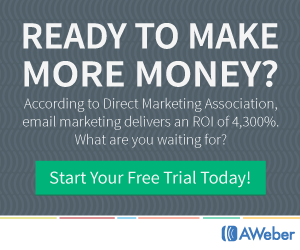 The more value you offer in the first instance, the faster you will grow your email list. There are a few different types of free gifts you can create. Most marketers often give away an E-book, a cheat sheet, a webinar, a video, or exclusive tips. Headlines are so important. But where do they go? They go on your squeeze page. A squeeze page has just one purpose — to convert people. For this reason, everything on this page has to be there for this purpose. There can be no distractions. It consists of a headline, sub-headlines, body copy, a call to action (CTA), and an opt-in form. The key to a compelling, high-converting squeeze page is knowing what your audience really wants. If you’re offering something they might be a bit interested in, it’s not going to work. What you need to do is know what they desperately want right now. Once you know what that is, you can write a bold headline that grabs their attention. The headline is bold, benefit-driven, audience-focused and it’s short and snappy. Then, I’ll write some compelling body copy that convinces my prospects why I’m the expert who has ALL the answers they need. And all they have to do is hand over their email address to find out my secrets. Tomorrow never comes. To make someone hand over their address right this minute, your text needs to be action oriented. How? Kissmetrics have done some research on this, and they found that social proof can be the one thing that sways us from being unsure about something to totally sure. If a prospect was otherwise skeptical about signing up (and thinks you’re a scam) suddenly reads “join the thousands of others who have already signed up!” in your CTA, they’d be more convinced about handing over their email address to you. Once you’ve got your squeeze page and your lead magnet all sorted, the next step is driving traffic to your site. After all, without any traffic, no one is going to even see your amazing offer! This is where guest blogging comes in. Guest blogging is the process of writing for authoritative bloggers in your niche for the purpose of driving more traffic to your own site. All you need to do is pick a relevant topic, pitch it to a blogger, include a backlink to your website, and publish it. The idea is that you position yourself as the expert who’s got the answers to people’s problems. By guesting on someone’s website (preferably someone with lots of traffic) you’re introducing yourself to a new audience. And if you want to grow your list quickly, you need to guest blog like crazy. I’ve really grown to love Quora because it works a lot like guest blogging in the sense that you write about a relevant topic in your niche and position yourself as the expert while linking back to your own website. All you need to do is sign up, answer questions, provide a TONNE of value to the community, and link back to your squeeze page. It’s simple but very effective stuff. Lastly, SEO counts a lot because it’s still the best way to drive organic traffic to your website. 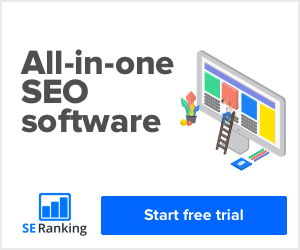 SEO is, of course, quite complicated and you might want to hire an SEO expert or agency to help you out with this one. However, if you can pick the right keywords, optimize your squeeze page so that it’s desktop and mobile-friendly, and segment your SEO campaigns, you can start driving more of the ‘right traffic’ and convert more people. The secret of How to Get Email Subscribers and build a huge email list in less than 3 months, then, is simple: Sort out your on-page stuff so that your free gift and squeeze page are both amazing, and then work hard to drive traffic via the off-page processes mentioned above. If you need help growth hacking other areas of your business such as your blog and/or email list and would like to find out how our growth hacking services can assist with the scaling of your company, please use the contact form below and we will get back to you shortly. Alternatively, click on the following link to find out more about our Growth Hacking Services.